Play Android games on Desktop PC with keyboard and mouse! 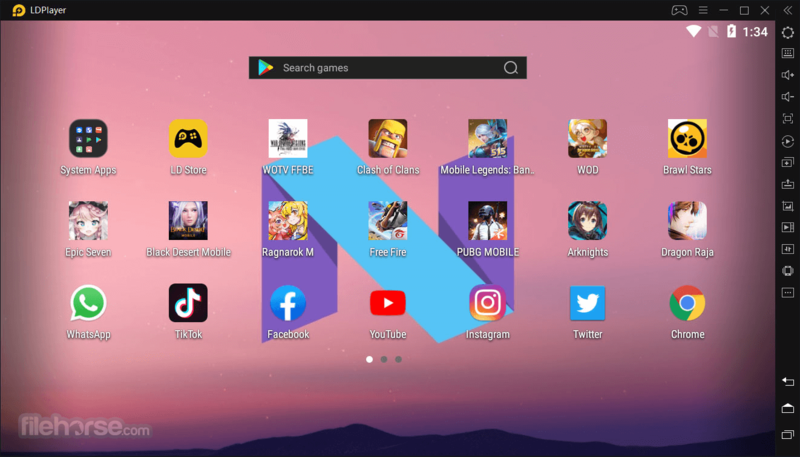 LDPlayer is a unique emulator of Android OS that is fully focused on providing you with one functionality – flawless running the most recent and popular Android smartphone games directly on your PC. Optimized with great care to take full advantage of your PC hardware (such as much stronger CPU, GPU, Storage and RAM hardware than on any portable Android device), and with great care taken to provide perfect compatibility with the latest gaming titles, LDPlayer represents the best way you can transform your home PC or laptop into a gaming machine that runs the latest mobile software. In addition to superb experience in handling the latest gaming titles, LDPlayer also prides itself with its full online compatibility. You can play both solo and multiplayer games on your PC, with improved latency and bandwidth speeds that are offered by your landline connection to the online world. 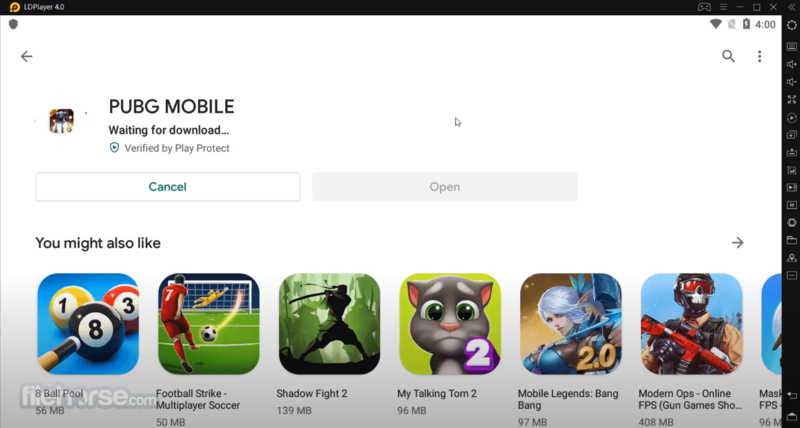 As a proof of the capabilities of this emulator, several large mobile game publishers have elected to use this emulator to offer their mobile games as a native PC product. One of the greatest examples of this is the cooperation between the LDPlayer and Tencent which resulted in the release of the mobile version of the game PlayerUnknown’s Battlegrounds on PC. LDPlayer is a lightweight application that can be very quickly installed on modern versions of Windows. To take full advantage of capabilities of this emulator, developers of this app recommend users to check out their extensive tutorials and FAQ sections on official LDPlayer website. This online help can provide them with the best way of ensuring smooth rendering of games, tutorials on how to optimize games to run at smooth 60fps per second and more. As with any gaming emulator, strong PC hardware is a bonus, but it is important to note that LDPlayer can easily handle many 2D-based Android games on older PCs or laptops. Customization screen of the features four main tabs (Basic, Advanced, Properties, Network, and Shortcuts) where you can tweak all the settings necessary for smooth operation of both this app and the emulated software. Advanced tab is quite important because it houses the configuration of the currently active rendering resolution (several presets for Tablet and Mobile resolution, as well as support for your own custom resolution), number of active CPU cores, and amount of RAM accessible by the emulator. In Properties tab you can set up identification strings, essentially telling online servers which mobile device you are trying to emulate. Basic tab holds tools for auto-rotation, fixing windows size, root permission, microphone support, Language selector and more. As many other emulators, It also has built-in support for creating custom mappings and macros, which will enable you to map finger taps, flips, multi-touch events and more on your keyboard and mice.